Everybody, Always was the first book I finished in 2019. I’ve had it recommended to me numerous times, seen it all over social media (it has a memorable cover that I love! ), and I finally just had to jump in and see what all the hype was about! So, I placed an order for the book on Amazon… and promptly let it sit on my shelf, unread, for four months. But I finally picked it up a the end of December, and I’m so glad I did. This was the first book that I’ve read by Bob Goff, and maybe I’m supposed to read his other book, Love Does first. If so, whoops. But Goff has a unique voice that shines through so strongly in his writing that it feels like you’re just old pals chatting about what’s going on in life and sharing stories together. He has a very casual way of speaking that really pushes that point even further. It almost immediately feels like you’ve known him for many years, rather than just a few pages. I like to jot down quotes or interesting language choices as I read books, and let me tell you, I took NOTES in this book. Almost every single page had a tidbit of knowledge or a little nugget of truth that I took down to think on and save for later. There were so many impactful messages woven throughout this book, the biggest being that we should love everybody, always. Goff makes it as simple as that, and keeps expanding on that theme using different comical (and somewhat outlandish) illustrations throughout. Like I said, I didn’t know much to anything about Bob Goff before reading this, but some of his illustrations had me a little bit skeptical… You gave a Ugandan judge the key to the front door of your home, and you hold your office hours in Disneyland?! I’m sure these stories are equal parts his big personality and also just the territory of writing a memoir, but I had a little bit of trouble believing a few of them. My only negative comment to the book was that for an entire book written about becoming love so that we can be like Jesus, Goff never mentioned a single reference from the Bible. Sure, a few times he would talk about stories from the Bible, using names or situations, but there were no actual Scriptural references in the entire book, which I found a little bit odd. I discussed it some with my brother, and I believe this was probably done intentionally to reach a wider audience than just someone who would shop in the Christian Living section, but I wish that there was more of that backing up the truths that he shared throughout the book. 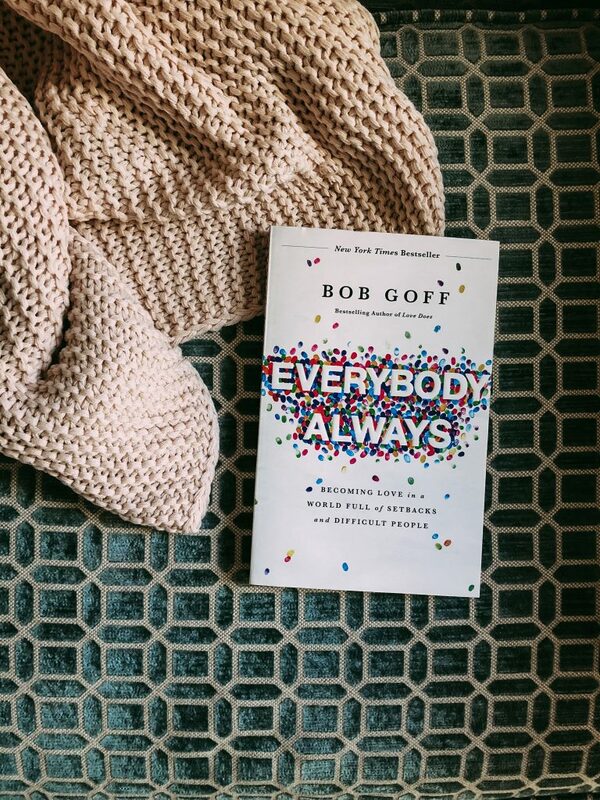 Overall, Goff’s voice and crazy stories won me over, and his thoughtful suggestions on how to love others – everybody, always – left me with many takeaways and practical ideas on how to better show Christlike love to those around me in my own life. Have you read this book? If so, what were your thoughts? Share them below!